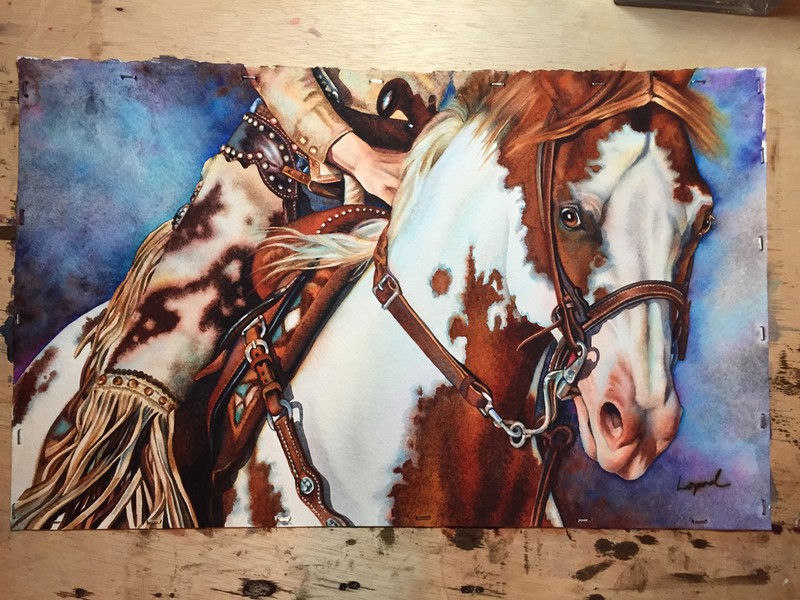 “On the Money” slides off the paper! 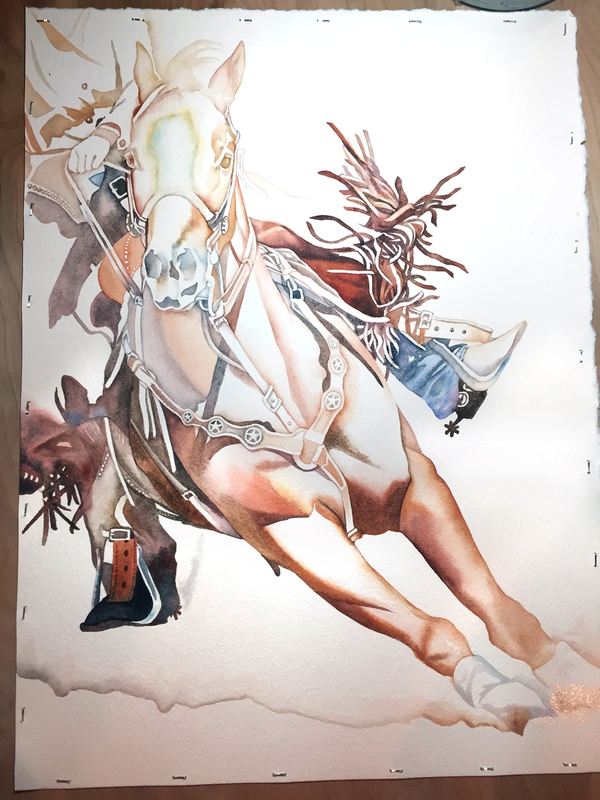 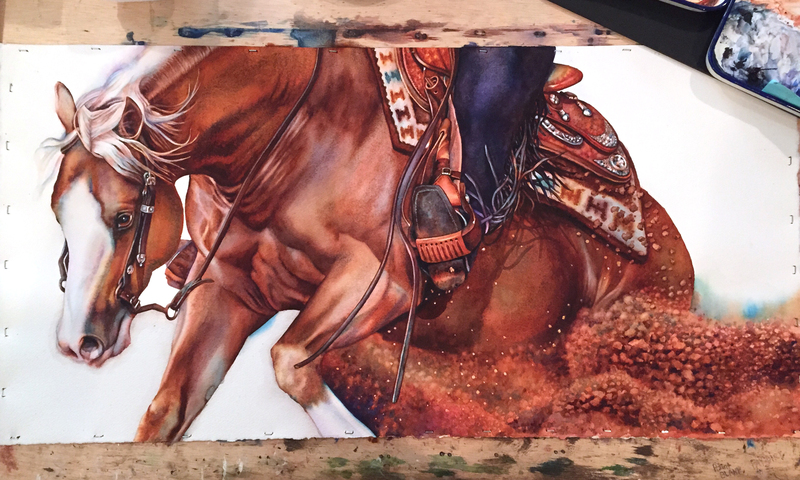 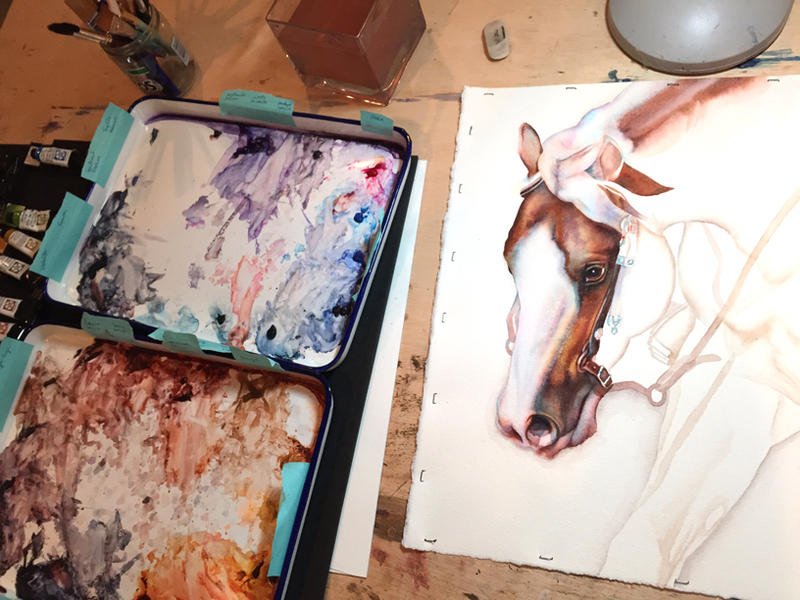 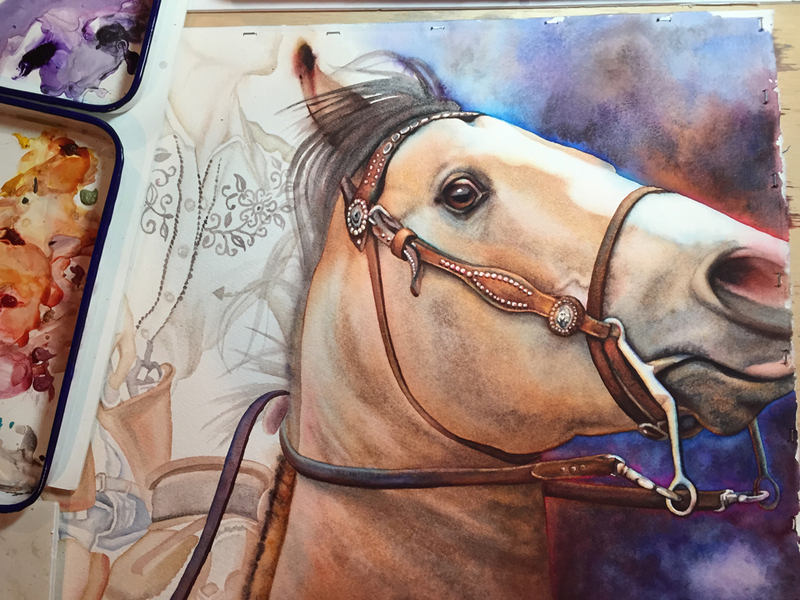 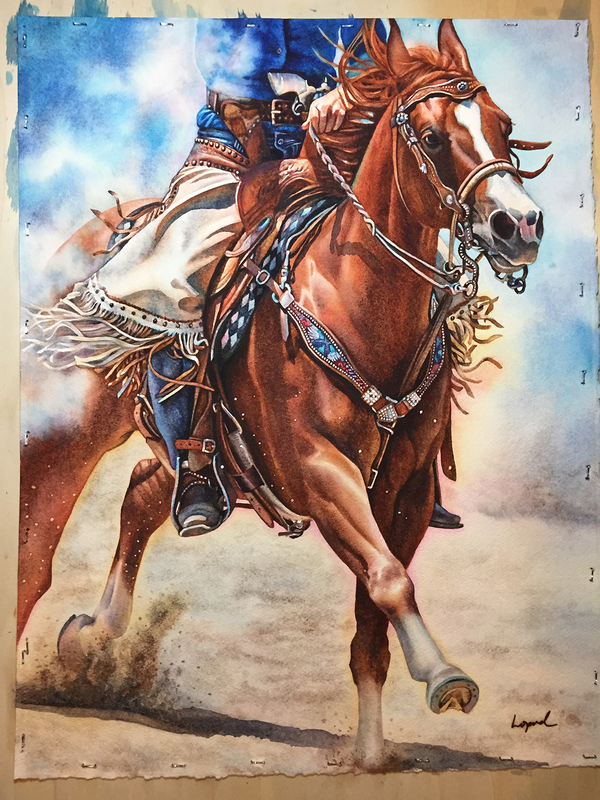 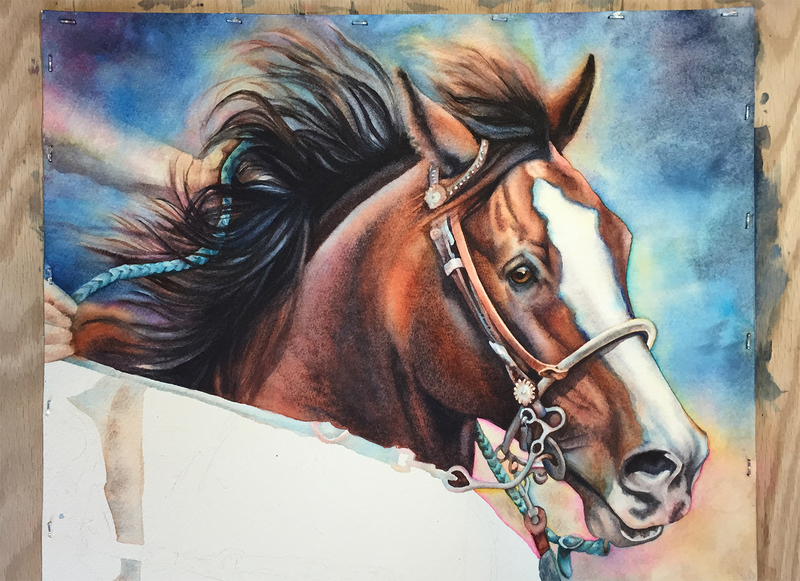 The underpainting is now complete for a new watercolor of cowboy mounted shooting star Kenda Lenseigne. 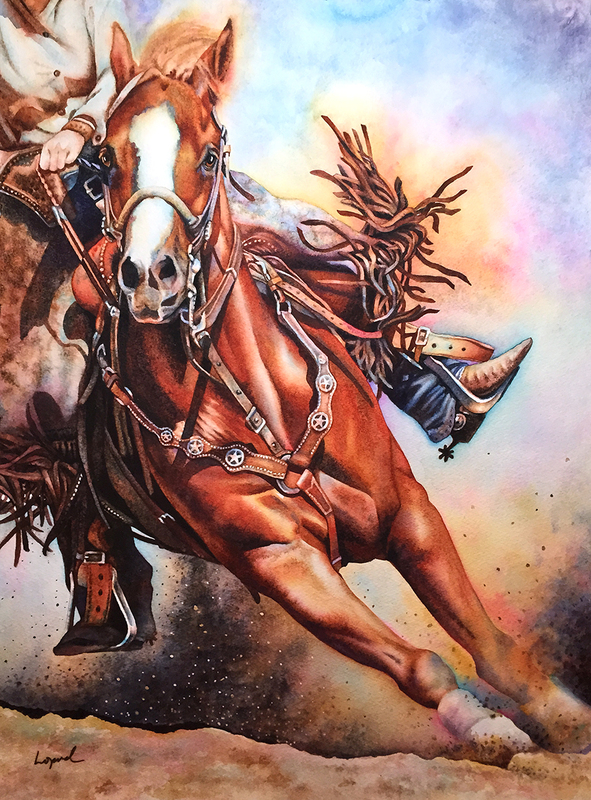 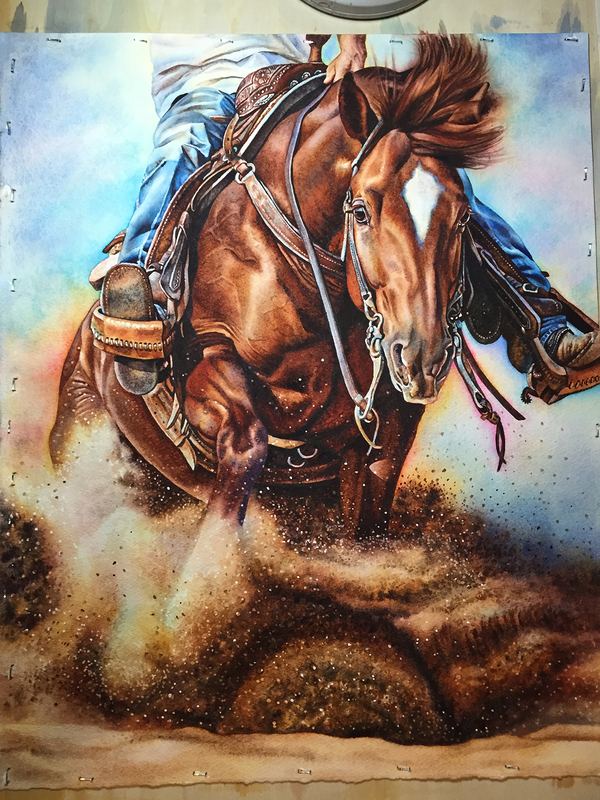 I was thrilled then Kenda gave me permission to paint this great action shot…. 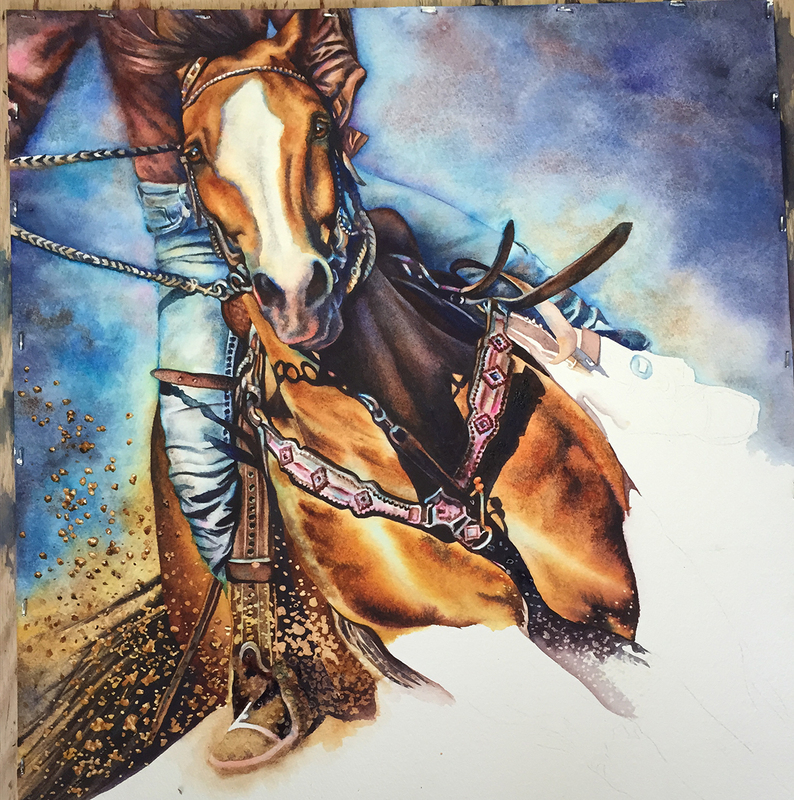 “Pay Dirt” is almost done!